One of the most important Oreo rules is that we do not fraternize with other of colors. Be the only one in a crowd and you add just enough color to make things interesting. You provide a resource for people to ask all those questions they know are annoying, so they realize it’s in their best interest not to ask an RBP never got to ask before. You give people an out when they’re accused of living a sheltered life. You add a touch of surprise and joy when you karaoke to Carrie Underwood instead of Queen Bey. You are a precious gift. Like saffron or a unicorn. Doing your golden unicorn thing. Show up as two of a kind and you look like a gang. Date another black and you’ve gone from being interesting and worldly to just being predictable. Start pairing up with other of colors and you run the risk of commiserating about society’s structural inequalities, making plans to attend an August Wilson festival, wondering if you do spend too much time and money erasing all the ethnicity out of your hair, and forgetting every single one of your favorite frittata recipes. So as a young Oreo, you make a promise to never even look twice at another member of the tribe and all is good and right with the world. Except for days like today when you accidentally watch a trailer for Lee Danile’s The Butler. 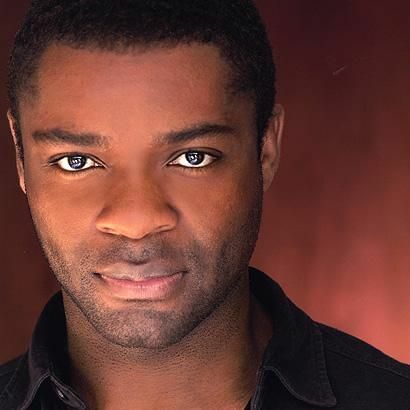 Also dangerous: One Mr. David Oyelowo who stars in this film. Those eyes. That jaw line. That smirk. Goddarn that smirk. Goddarn it right to heck!!! That way that suit hangs on that shoulder. That…accent? He’s British! That’s about as far from being an RBP as you can possibly get. The Queen’s English isn’t in the same vein as Ebonics. It’s not even in the same hemisphere! This star crush might be safe after all. Watching that preview and invoking the knowledge of Tyler Perry definitely wasn’t, safe however. So please excuse me, I’m going to catch up on my Downton Abbey reruns and practice some Monsters and Men for my next karaoke night. What do you think? Should I sandwich Mr. Oyelowo in between Hugh Grant and John Slattery (happy birthday to him today, btw!) on my celebrity freebies list? Who are your celebrity crushes? Let us know in the comments! Oh please, my dear you don’t have a problem. Try being smitten with Betty White. Then tell me about rules that need to be broken, taboos that have to be dealt with. Hahaha! I will back you up on the Betty White crush, though! She’s awesome! Is there a Mr. White or do you still have a chance? How about authors playing Othello? Hmmm. That’s a thought. No yanks, though! What about this one? Second Othello, in the 70 years of this Shakespeare theater en plein air. I meant actors, Freudian slip.